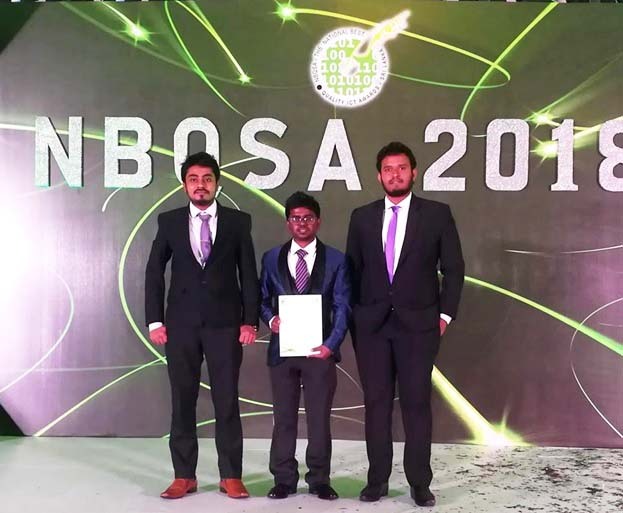 The project “Amba Yaluwa”- the concentration device developed by the students from Department of Computer Science and Technology has been awarded a merit under the category of Tertiary Student Projects (Technology) at National Best Quality ICT Awards (NBQSA) Night held at Hotel Galadari, Colombo on 19th of October, 2018. 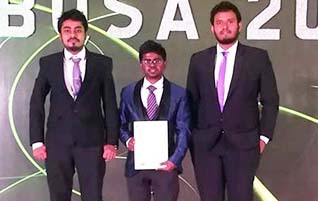 This event was organized by the Sri Lankan section of British Computer Society (BCS) – The Chartered Institute for IT. The project team consisted of Buddhika P. De Silva, Isuru Edirisinghe, Rajith Karunarathne, Randika Madhushan Perera, Pubudu Praneeth Jayarathna under the guidance and supervision of Mr.Ashan Rathnayake and Ms Imalka Pathirana.